Two years ago, I discovered the #40bagsin40days Lenten project by White House Black Shutters – at the time, we were moving, and I had no idea we would end up in our own white house with black shutters. But, the project was an eye-opening experience for me. That’s a good question. To be fair, I can’t give you a sophisticated theological answer. I did not grow up practicing lent. It wasn’t until I was a young adult that I knew people who gave things up for lent. Since then, I have heard of people giving up all sorts of things – alcohol, dessert, social media, etc. And, I think that is a wonderful practice. Lent is a time when Christians prepare their hearts for Good Friday and Easter – it is a time to reflect on what Jesus did on the cross. Traditionally, Lent involves prayer, confession, fasting, and almsgiving (charity). We live in a time when we have almost-instant access to everything we want. I live in a time when my groceries and my wine is delivered, and I just wait two days for anything I order from Amazon to arrive in a nice brown box. It has become increasingly easy to never have to “do without.” And, as a Christian, I could do well to remember that my life’s purpose isn’t about acquiring more stuff – it’s about loving others. And, I’m not one of those people who thinks “stuff” is wrong or sinful. Heck, I buy all the books because I am “supporting the art.” But, I have the luxury to do so. Like so many of my friends, the ability to have it all leads to overstuffed homes and overstuffed lives. And, when our homes and lives are messy, our hearts can start to feel a little cluttered too. So, two years ago, I did the #40bagsin40days, and it was wonderful. I did not focus on filling whole bags. I focused on decluttering little areas at a time. Because I wanted the practice to serve as a reminder of the Lenten season, I did use the time to pray and thank God for all I have and ask forgiveness for the times I choose “stuff” over loving people. I turned on worship music for however long it took to clear the assigned space that day. I used the time to examine my heart – and my spending habits. And, I tried to give away more than I threw away. I did not change overnight. It did not make me want to give all my stuff away and live as a missionary. But, that time did help me draw closer to God and allow God to teach me some things. And, I believe that was just because I was intentional about using the time to not simply clean house, but to also clean heart. This year, I am doing it again, and I encourage you to try it alongside me! The 40 Days includes a day off each week. I take Sundays off. Rest is holy, y’all. 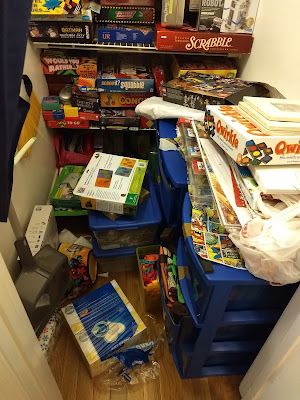 When clearing the clutter, ask yourself when the last time you used something was and then move it to the “giveaway” pile. Do I really need 24 cheap plastic cups? Probably not. Leave the bigger projects for the days when you have more time (or help). Use the helpful printables White House Black Shutter created. Use a pencil when making your plan. And, give yourself some grace when you need to use the eraser. With these suggestions, keeping a property spotless becomes a simpler task. By making good use of these tips, anyone can ensure that they have a neat and tidy house, regardless of how busy the rest of their day may be. What Does a Steam Mop Do?